Check our opening times and prices to help you plan your day out at the Castle. Our friendly staff are available to answer any questions you may have before you set out so please contact Castle Reception on 01827 709 626 for further information. Should you wish to make more of your day and visit the play park or town centre, please remember that you are able to exit the Castle and return within the opening hours on the same day if you need to. Entrance tickets only valid for the one same day admission to the Castle. 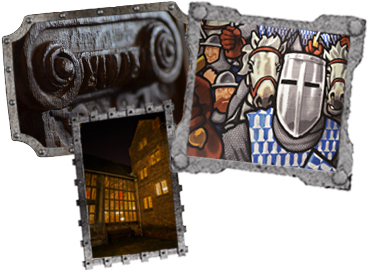 The Castle delivers a number of special events throughout the year where tickets must be purchased in advance. These events include Castle Banquets, Children’s Halloween Evening, Halloween Ghost Search, Castle By Candlelight and Santa Trails and are listed on our What's On page. By Telephone: 01827 709 618 or 709581 and speak to a member of staff. In person: visit Tamworth TIC, Marmion House, Lichfield Street, Tamworth, B79 7BZ. Opening Hours: Monday - Thursday: 8.45am - 5.10pm, Friday: 8.45am - 5.05pm, Saturday: 9.am - 3.30pm. Sunday - Closed.